The ULTIMATE hair band experience returns to Hartman Arena on Saturday, February 16th! Hairball is more than just a band…Hairball is an unparalleled celebration of the all-time best in arena rock and an experience you’ll never, ever forget. 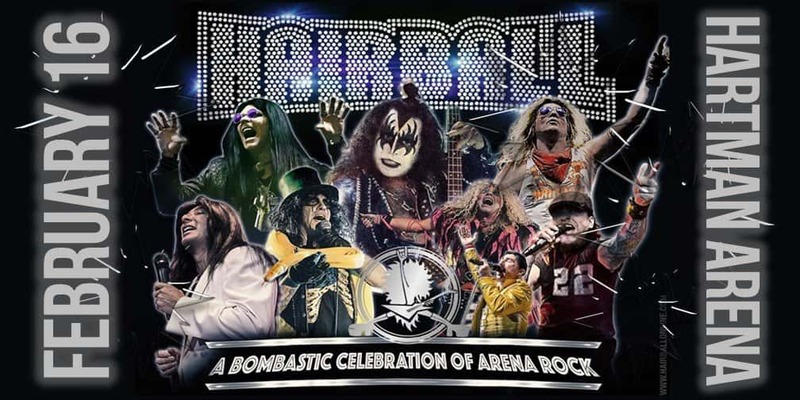 A band plays some songs, a music act puts on a concert…and then there’s Hairball-Hairball creates a one-of-a-kind event unlike anything else you have ever seen (or will ever see again). The lights, the sound, the smoke, the pyrotechnics, the special effects, the screaming hordes of avid fans…this is not a mere concert and there simply is nothing like Hairball. Hairball celebrates its 21st year of 100-percent, no-holds-barred, exciting chaotic, fiery partying in 2019.